Weddings are a time to gather and celebrate! Enjoy your favorite music with your favorite people. Maybe you're having a hard time coming up with that perfect playlist? While you know on the top of your head 50 Top classics, maybe you want something lesser known. The choice is up to you. After all it is your play list! The reason the majority of couples choose overplayed songs is because they are well known by everyone and therefore, your guests will be fully engaged and dancing. There is the possibility, if choosing lesser known artists, that your guests will not be fully committed to rocking the dance floor. This is to be expected. These songs are classics, and are legends for reasons. They either have a good tone to move to, have great words to sing to, or are undoubtedly catchy. As for the Top Ten wedding songs of all time, there is a debate whether they can be both over played and classics at the same time. We'll leave you to decide. We want to fully prepare you that most people have never been to 100 weddings in a row, and therefore do not know these are overplayed. This is just for your acknowledgement in case you want a good laugh before your big day. Known as one of the best love songs of all time, and featured in The Twilight Saga: Breaking Dawn. It's famously used as a Bride Entry song into the ceremony. 'I have died everyday waiting for you'. I'll even be the first to admit that I still get hyped by this song. How could you not when you have a catchy beat like this?! Plus, Bruno Mars has serious confidence. It makes you wanna jump just listening to it and that's EXACTLY what happens at weddings. Everyone loses their minds jumping up and down. If this is what you're wanting, you have your song. One of the most popular songs of all time. Commonly used in the Cake Cutting portion of the evening, it's no wonder brides love this song, and so does a radio station. The music video even features Maroon 5 doing surprise concerts in the middle of couples' weddings. They all definitely got a little sweetness in their life. I'd love to meet Adam Levine, too. King of pumping people up, he does it again in 24K Magic. This one is used usually at the beginning of Open Dance to get people on the dance floor and it works! Especially if everyone knows the words. Once the song is played, everyone would go crazy and there have even been dance offs in the past, making it even more viral. Licensed to youtube, this is the perfect song if you are into line dances and most of your guests know them as well! Some DJs will actually teach the line dances if that's what you're interested in. This song is very fast pace which makes it a great start to the night. It's mostly used in Open Dance. You'll be out of breath, but it's worth it. Famously one of the sweetest songs in history, it is used a lot for First or Last dances. It also makes wedding planning so swoon worthy. It has the perfect slow beat, but it still has enough drama to keep the crowd's attention. It's great for choreographing a dance as well because it's so dynamic. The screaming at the beginning with the drums, how could you not wanna dance to it? Hear this song, and everyone breaks into the dance. It definitely has a lot of personality and bass and it always gets the crowd's attention! As seen on Magic Mike and the dancefloor, Ginuwine promoted the Bachelor lifestyle. This song is surely to grab the attention of the groomsmen, the guests, and your grandparents. For a good time with a lot of laughter, this song is highly recommended for the Garter Toss by many brides. A dedication to all the ladies, this song is mostly used for Bouquet Tosses. I'm not sure which excites your bridesmaids more... catching the bouquet or hearing Taylor Swift come on? Well, there's one thing for sure. If any of your bridesmaids go missing and you're starting the bouquet toss, turn on Taylor Swift and she'll come running. And so will I. Starting in 2010, Bruno Mars created a viral reaction to his new song. People were proposing during Flash Mobs left and right. It's a beautiful song to use as your First Dance song. It's pure dancing juice. Just say 'You do'. 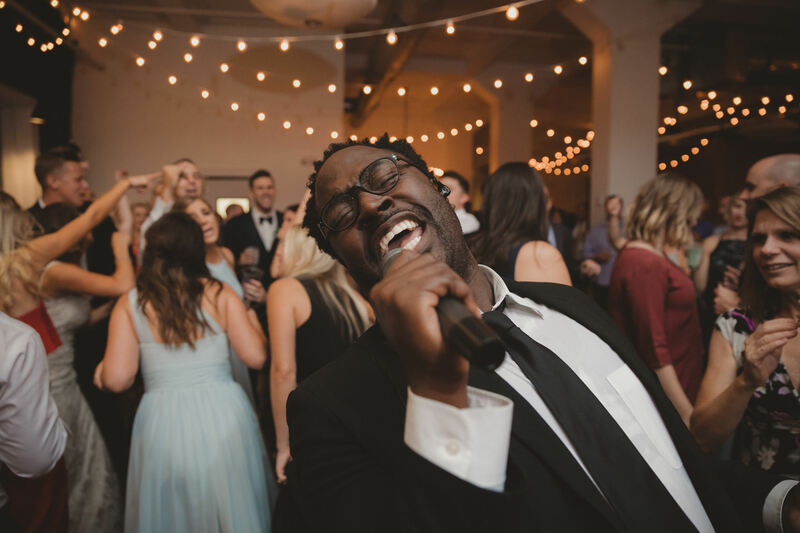 We hope this either helped build your Best Wedding Playlist, or steered you in the direction you were wanting to go in. Some almost made the cut but didn't like Love Shack, Justin Bieber anything, or Etta James. Either way, it'll be a beautiful night for you and your beau. If you're in need of a wedding DJ, feel free to get a quote here.